Energy models provide essential quantitative insights into the 21st Century challenges of decarbonisation, energy security and cost-effectiveness. Models provide the integrating language that assists energy policy makers to make improved decisions under conditions of pervasive uncertainty. Whole systems energy modelling also has a central role in helping industrial and wider stakeholders assess future energy technologies and infrastructures, and the potential role of societal and behavioural change. The CRESS contribution is to the understanding and modelling of household energy demand. There is an explanatory animation. Despite this fundamental underpinning role, the UK has not had a national strategic energy modelling activity. Models have been developed on a fragmented, reactive and ad-hoc basis, with a critical shortfall in the continuity of funding to develop new models, retain human capacity, and link modelling frameworks in innovative ways to answer new research questions. The whole systems energy modelling (wholeSEM) consortium is explicitly designed to enable the UK to make an internationally leading research impact in this critical area, and hence to provide cutting-edge transparent quantitative analysis to underpin public and private energy systems decision making. 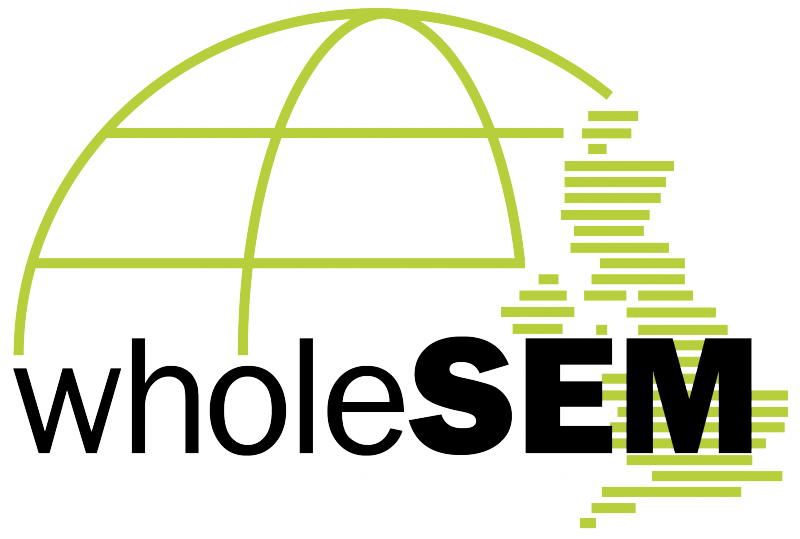 Following a rigorous selection process, the wholeSEM consortium encapsulates leading and interdisciplinary UK capacity in quantitative whole systems energy research. Build bilateral engagement mechanisms with the wider UK energy systems community in academia, government and industry. How does energy demand co-evolve with changes in practice, supply, and policy? How will the endogenous, uncertain, and path dependent process of technological change impact future energy systems? How can the energy supply-demand system be optimised over multiple energy vectors and infrastructures? What are the major future physical and economic interactions and stresses between the energy system and the broader environment? The consortium will employ extensive integration mechanisms to link and apply interdisciplinary models to key energy policy problems. This will take place across the conceptualisation and development of innovative modelling approaches, model construction, and through an integrated set of use-cases. The WholeSEM project is supported by the Engineering and Physical Sciences Research Council (EPSRC), United Kingdom.